Stainless steel angle bead. Catnic PVC thin coat angle bead. RICHARD PRICE, technical director at UK-based Catnic*, explains that to fulfil both architectural ambition and building performance under the region’s climatic conditions, it is necessary to specify products by name and install them properly. Quality is key to building performance. This means individual components should be selected within the geographical context and design aspirations of the project, and these components should be the ones actually installed onsite, according to the specification and in line with manufacturers’ directions. The Gulf region is not only well known for its extreme climate, but also in more recent decades for its landmark developments. Architectural vernacular across the Middle East blends glass and steel with fair-faced concrete and smooth render finishes, to create stunning cityscapes of striking buildings that are recognised around the world. With the devil in the detail, plasterers’ beads are a reliable method of achieving the slick finish clients expect of rendered façades. Importantly, the accurate specification of these components not only supports the efficient performance of a building envelope and contributes to the legal compliance of the building as a whole but it will also ensure its longevity against the rigours of everyday use and climatic extremes. In previous years, such elements were regarded as commodity products, with ‘equal or equivalent to’ specifications leaving actual product selection of plasterers’ beads and profiles down to the contractor and often their sub-contractors. While ‘equal or equivalent to’ provides a platform for contractors and sub-contractors to introduce new products, in reality this specification leaves the door ajar for cost-cutting and associated quality compromises that can fall short of the initial design intention. However, more recently, Catnic beads and profiles are being specified by name, with many architects now keen to ensure only the best is installed, rather than ‘equal or equivalent to’ which leaves product specification open to interpretation. By ensuring robust, quality products are used onsite (those manufactured to EN 13658 – 1 and 2) and the right profiles are used in the correct applications, specifiers can future-proof their building renders against the effects of corrosion. Without these two criteria, there is a risk that beads will oxidise in the hot, humid and often saline coastal environments. Unsightly staining can result, in the worst cases, in cracking and failure of the render, which then requires expensive remedial work. To overcome this, the context of the building and application of the beads must form part of the initial consideration. For external renders, stainless steel and PVCu (unplasticised polyvinyl chloride) beads are the most appropriate. Internally, galvanised steel is a more appropriate choice, although for high-moisture interior environments stainless steel and PVCu could also be considered for interior fit-outs. 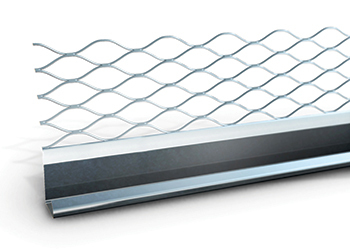 PVCu should be the primary material of choice for the most aggressively humid environments. Consultation with a specialist will help ensure accurate specification that supports the overriding design direction, performance and legal compliance of the building. Quality is integral to success and this can be more confidently achieved through the named specification of products. For example, in external applications, a galvanised steel bead with a minimum zinc coating of 275 gm per sq m, with a PVC (polyvinyl chloride) nose sheathing or epoxy coating providing protection to the arrises and exposed faces, provides the most robust specification option. Catnic PVC thin coat angle bead. Catnic’s galvanised beads are manufactured to a gauge 11 per cent above the requirements of both British and European standards, while its stainless steel beads exceed these requirements by 25 per cent. In specifying such a product by name, architects can ensure that beads with adequate protection are installed. In doing so, the overall finish of a rendered façade is secured for the long term. Ensuring the specification is realised onsite is easy with products from a reliable international supplier such as Catnic. Specifiers and main contractors simply need to look for the brand, which is clearly stamped onto every profile. Packaging also carries the CE mark, supported by Declaration of Performance documentation to prove the products have been tested to meet the requirements of the European Standard, as demanded by the Construction Products Regulation (EU) No 305/2011. Long-lasting and sustainable building design relies on the successful combination of products and systems, expertly brought together by the specifier and professionally fulfilled by the contractor’s teams. Even small components and ‘commodity products’ have their part to play, so it is only by specifying each product by name that an architectural masterpiece is realised. 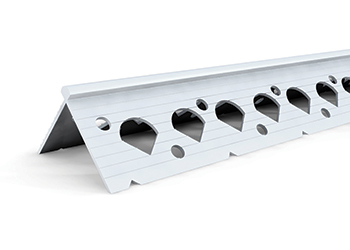 * Established in 1969, Catnic conceived, developed and pioneered the steel lintel designed for the house building industry, and soon won a major share of the UK market. A Tata Steel enterprise, Catnic is today recognised as a leading brand in the building products sector. 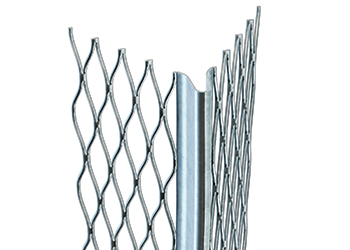 Its range of products include steel lintels, building components, fence support systems – QwikPost, steelwork, RIB21 – permanent formwork for concrete, Juliet Balconies, which are shallow balconies designed to provide a decorative safety barrier in front of French windows, and SecuraMesh, which are sheets of expanded steel mesh that fit neatly into internal and external walls, ceilings and roofs to defend premises against forced entry. Global markets are serviced by a network of independent distributors.